Patrick M. Kelley, MD, FACS is the leading provider of the QuickLift® Face Lift procedure in the Panama City, Florida area. 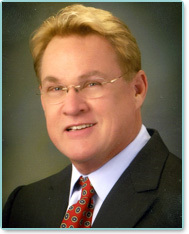 Dr. Patrick M. Kelley is board certified by the American Board of Plastic Surgery and is a member of the American Society of Plastic Surgeons and American Society of Aesthetic Plastic Surgery. The Panama City, Florida (FL) plastic surgeon received his Bachelor of Science degree from the University of Illinois and his medical degree from the Loyola Stritch School of Medicine. He completed his general surgery residency at the University of Illinois, his plastic surgery residency at Eastern Virginia Medical School and his plastic surgery fellowship in Canniesburn, Scotland. Since 1978, Dr. Kelley has maintained a highly successful private plastic surgery practice serving Panama City, Florida and surrounding areas. His modern in-office operating facility is fully accredited by the AAAASF, is staffed by a board-certified Anesthesiologist, and is designed for the optimal comfort and safety of his plastic surgery patients. Additionally, Dr. Kelley has extensive training in the QuickLift® face lift procedure, along with other face lift techniques and facial plastic surgery procedures.